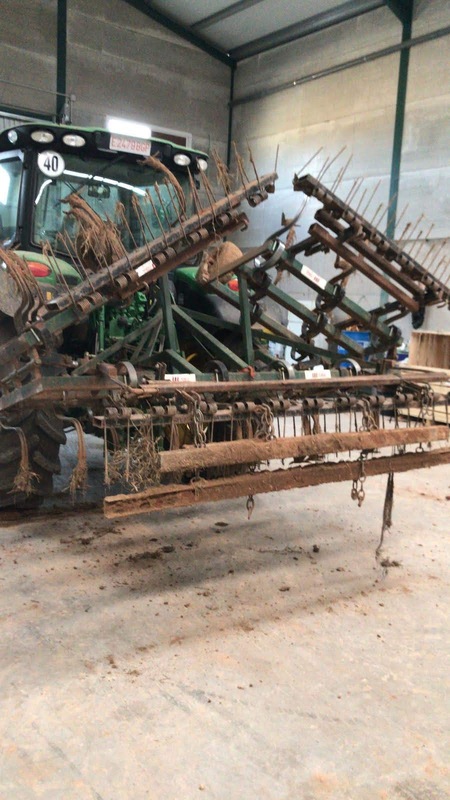 We are now in the middle of the sowing campaign and in relation to the previous post, one of the tasks to be carried out is the preparation of the sowing bed. 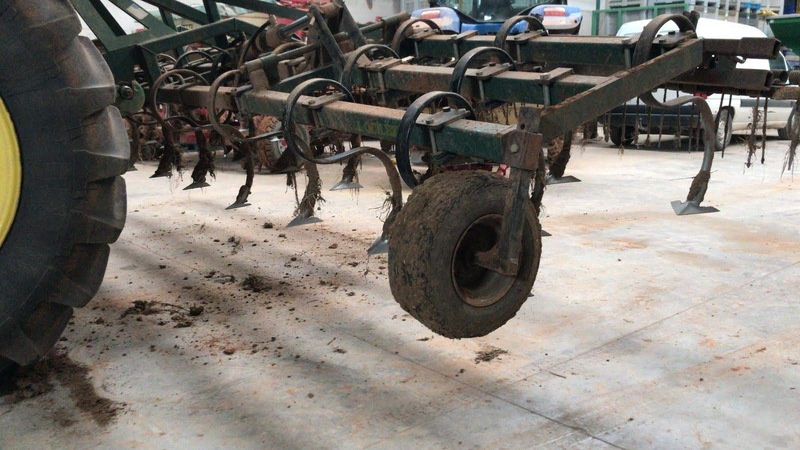 In order to perform these tasks, there are several tools that can be used, although without a doubt the most important is the seedbed cultivator. 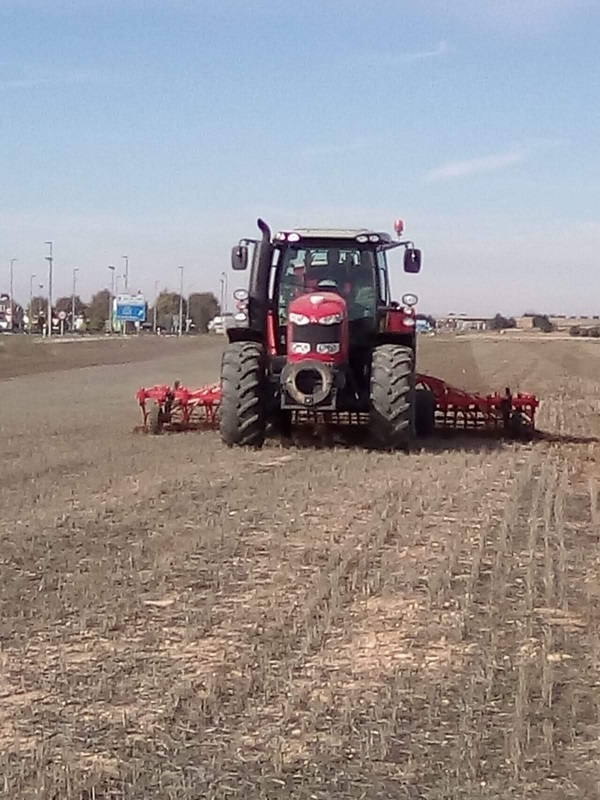 Many pulse vegetables (yeros, lentils, peas, alverjón, titarros, vetch, etc) have been sown in our area for some years now. 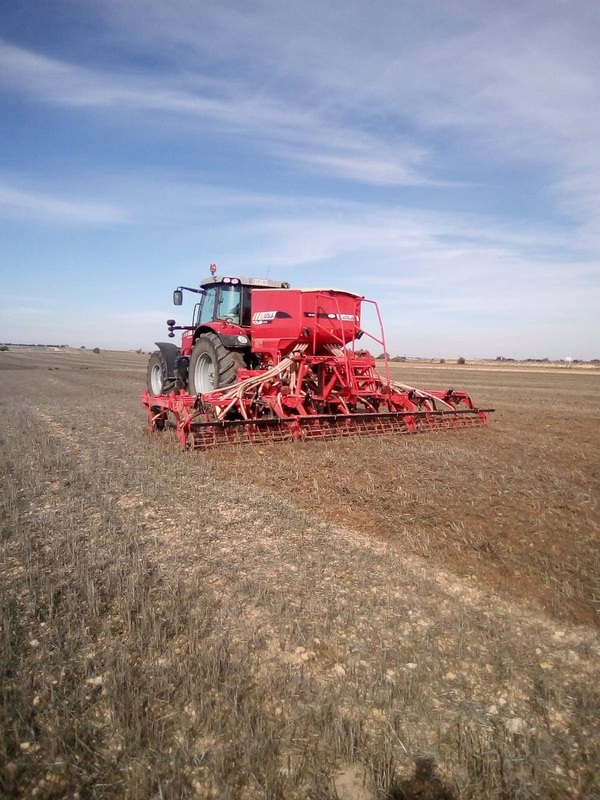 The planning of sowing tasks are first the winter cereals (barley, wheat, rye, triticale, oats,...) and then in a second phase pulse vegetables. 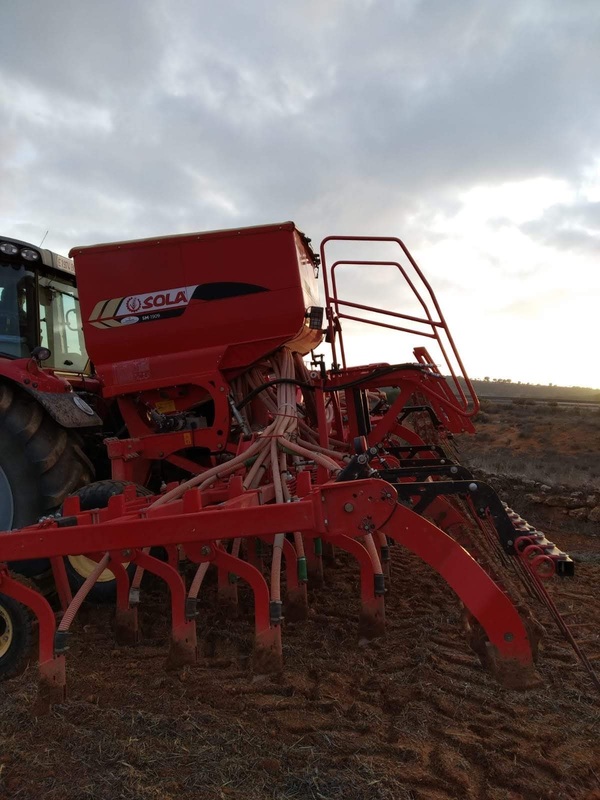 In years when autumn is rainy, such as this year, fields in which the pulses are sown are born a lot of old cereal (remember that we use the pulse vegetables to rotate crops along with the cereal) so it is necessary to make a superficial harrowing with cultivator before sowing. 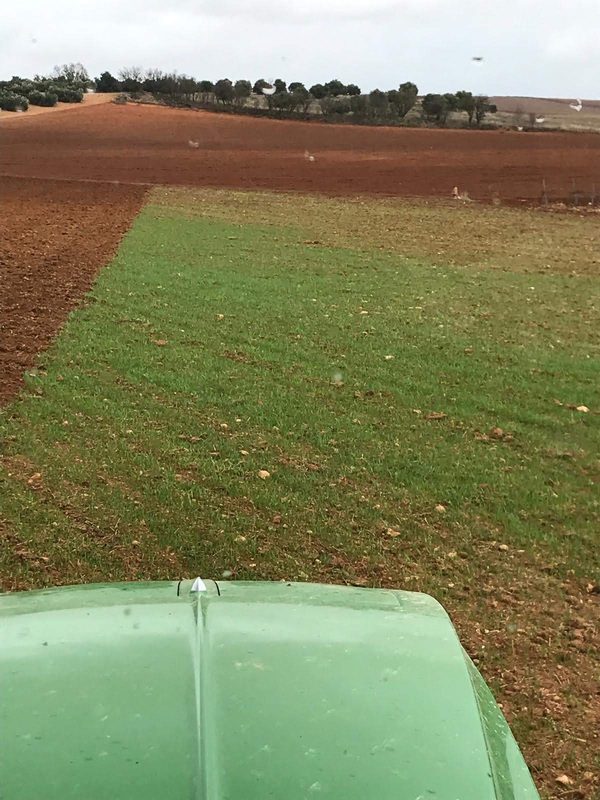 As you can see in some photos, fields are completely green as if they were already sown... the grain that the combine harvester threw away in summer was born with the rains of the last few days. 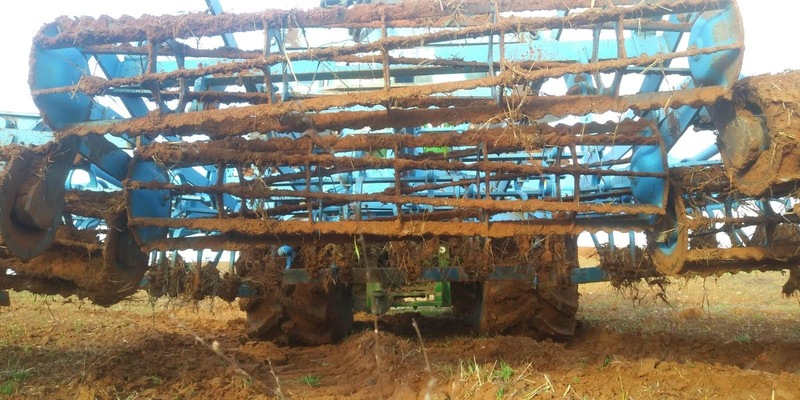 It is important to eliminate the old seeds and weeds in order to have cleaner pulse vegetables because phytosanitary treatments are expensive and in many cases are not possible. 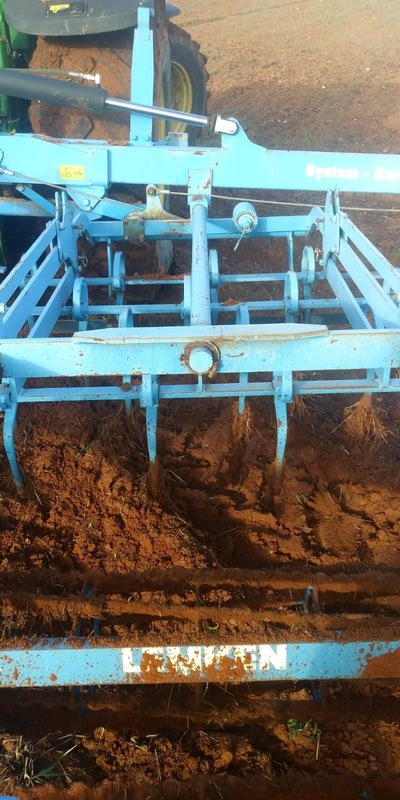 One of the tools we use to perform this last harrowing task, just before sowing, is the seedbed cultivator. 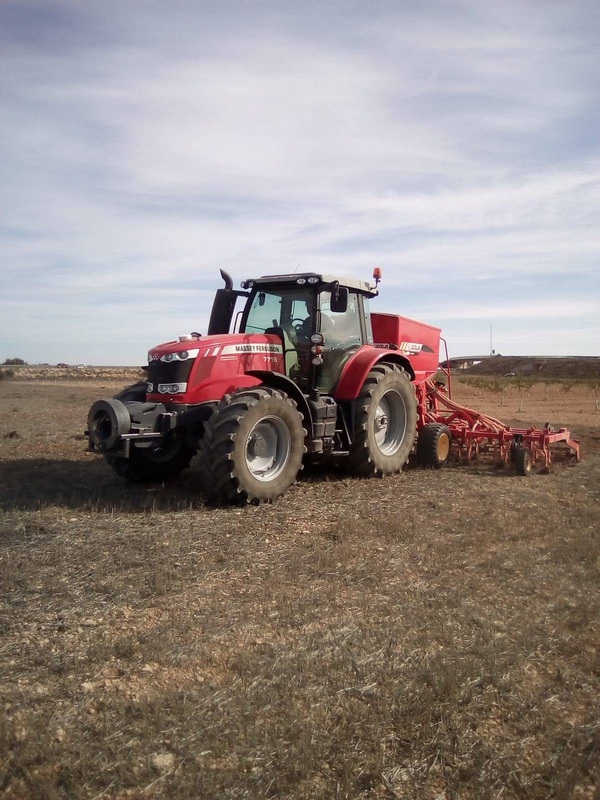 Many farmers use the cultivator they use to harrow stubble and to prepare the seedbed during the summer and autumn, but if we want to do a perfect work and optimize the time and diesel, ideally we use a seedbed cultivator. 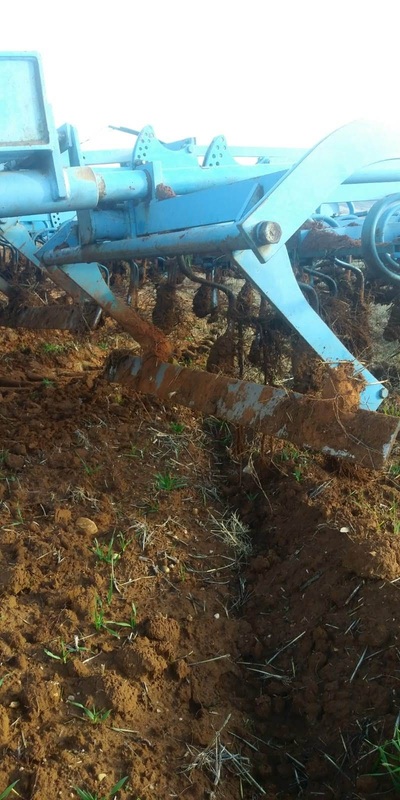 In our case, we use the seedbed cultivator that our seed drill incorporates. 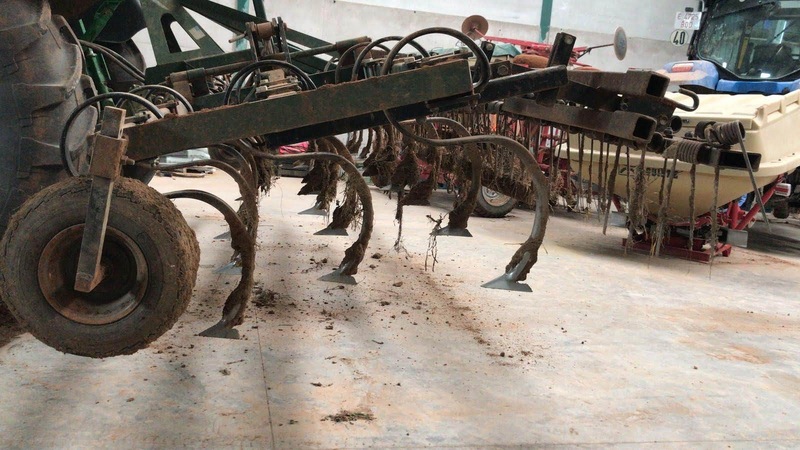 Therefore, the farmer has three options: cultivator, seedbed cultivator or seed drill included in the seedbed cultivator. 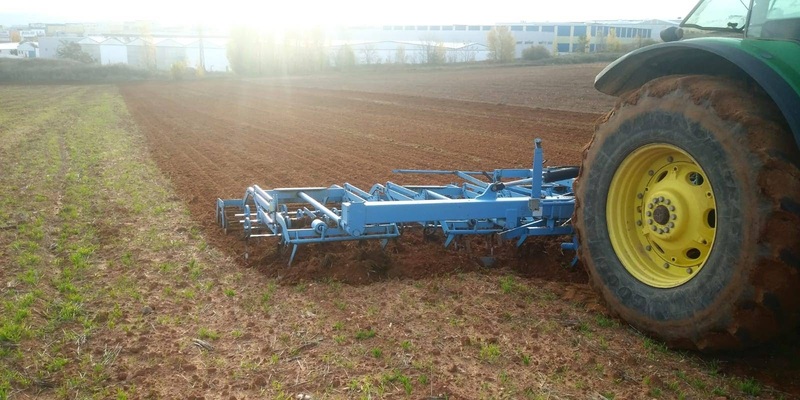 In the photos, you can see two seedbed cultivators which are very similar in their work, but very different in their construction. 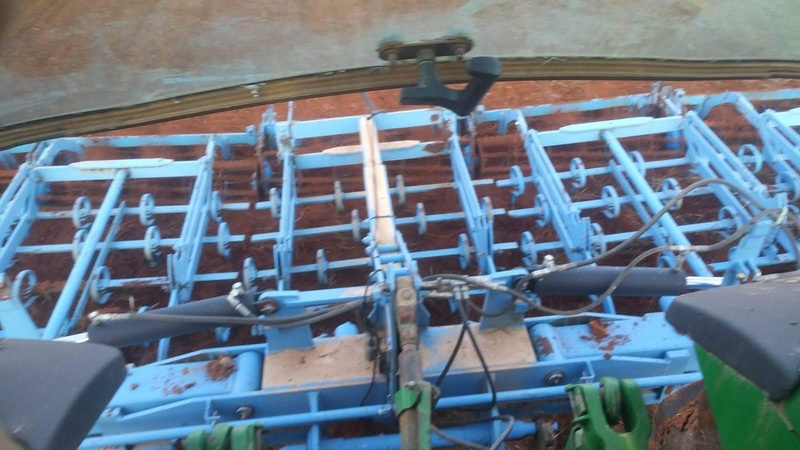 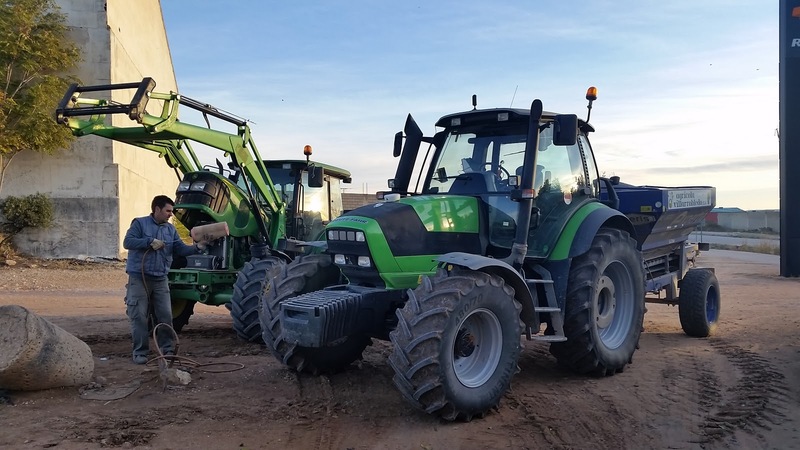 The Lemken Korund seedbed cultivator that our friend José Vicente shows us is a tool of 7.5m working width with a total of 80 tines in four rows (he uses a John Deere 8330 at 12km/h). 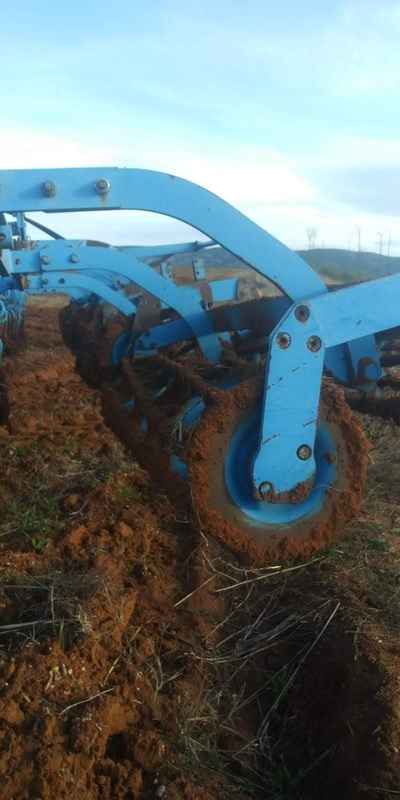 It has a double roller that prepares the soil perfectly. 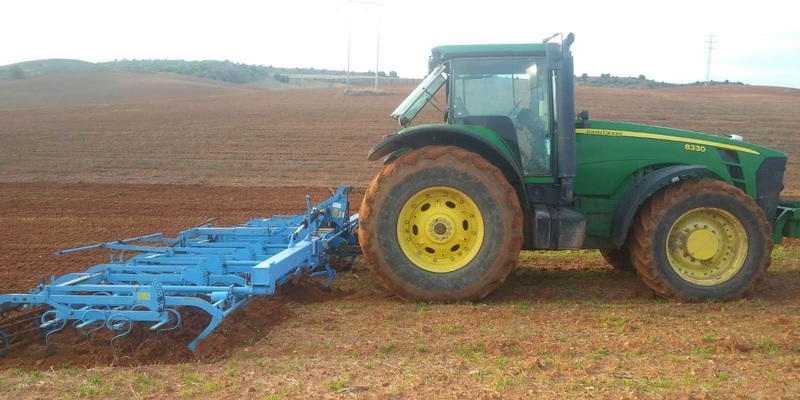 Another seedbed cultivator, which is much more "modest", is the one of our friend Julián. 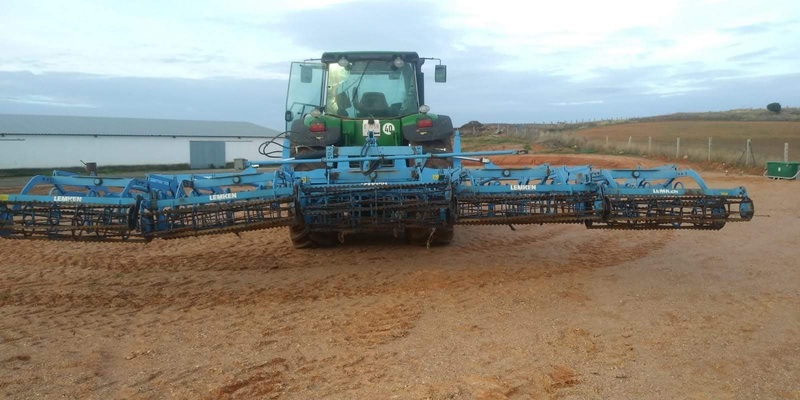 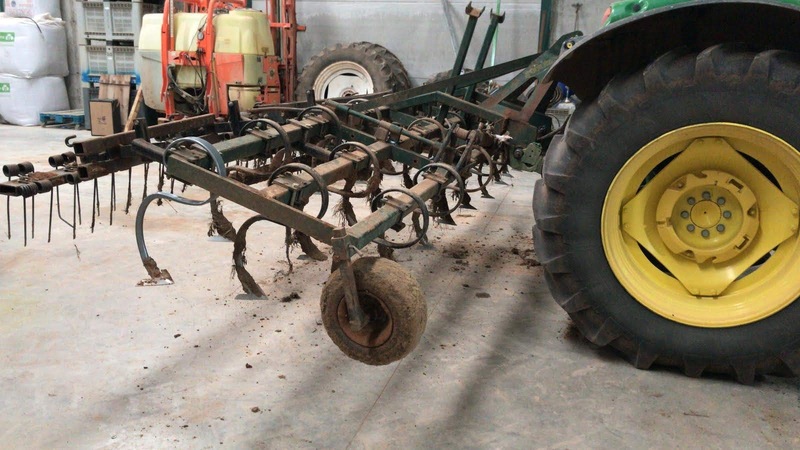 It is a seedbed cultivator of 5 m working wicth of 30 tines in three rows and it doesn't have roller but it has a spike harrow and a beam to level the soil (he uses a John Deere 6110 R at 12 km/h). 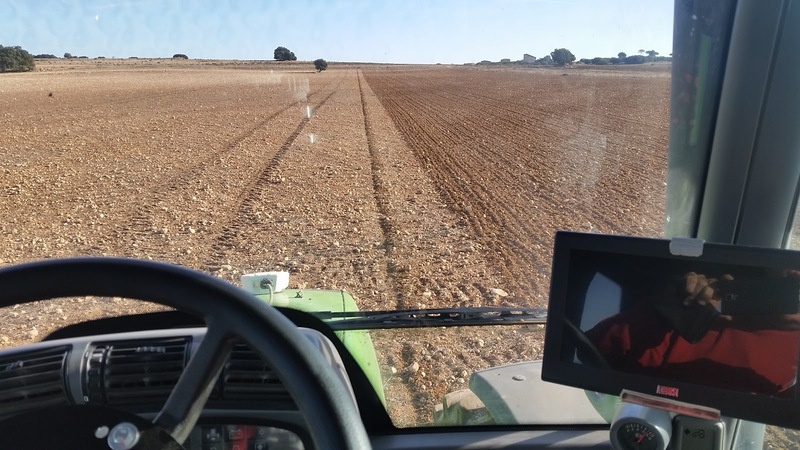 Both farmers are looking for the same goal: to have a perfect seedbed, to remove old seeds and to make this task as economic and fast as possible. 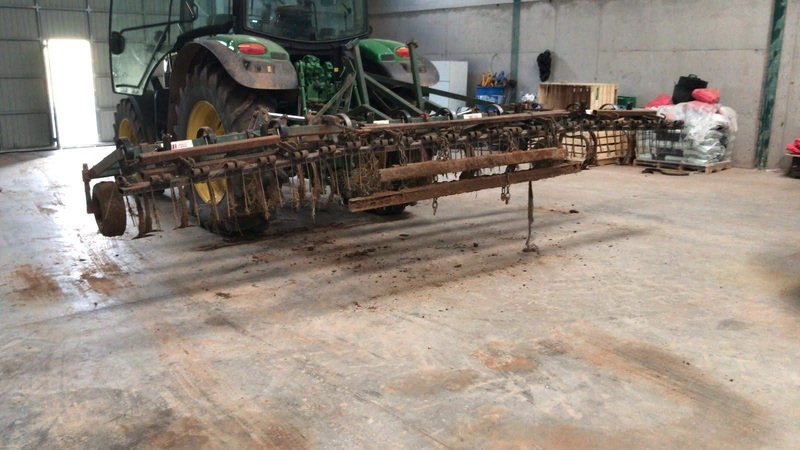 Do you use any similar tool? 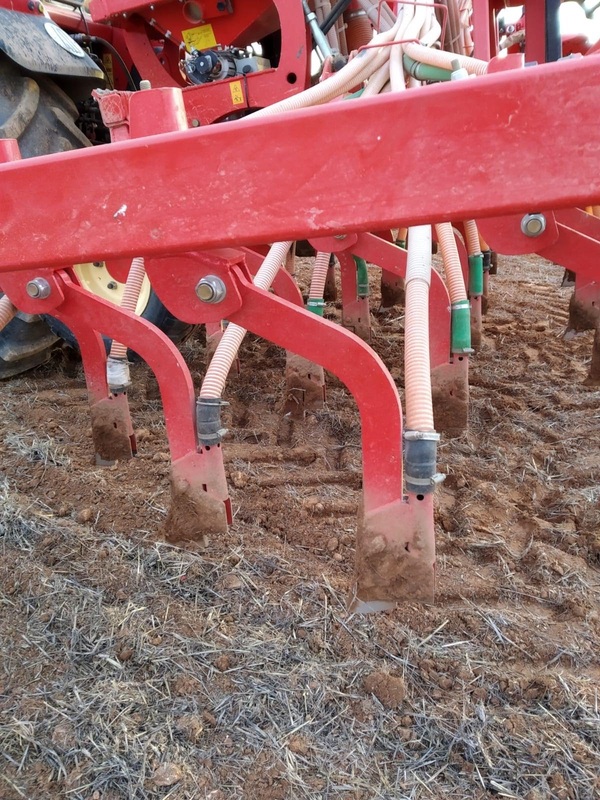 Sowing days: direct, minimum tillage or traditional. 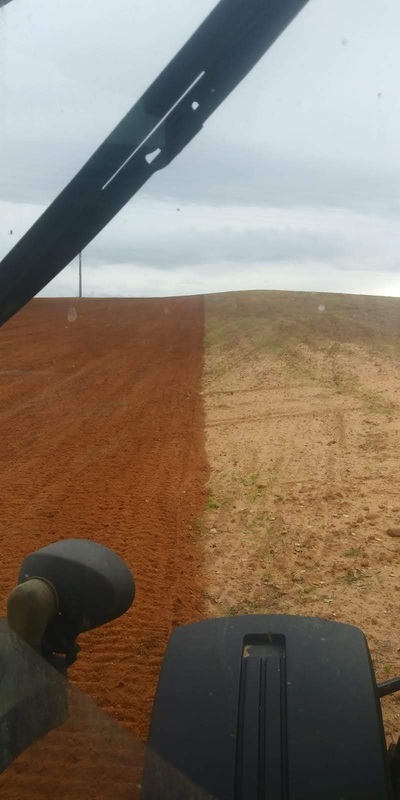 What do you prefer? 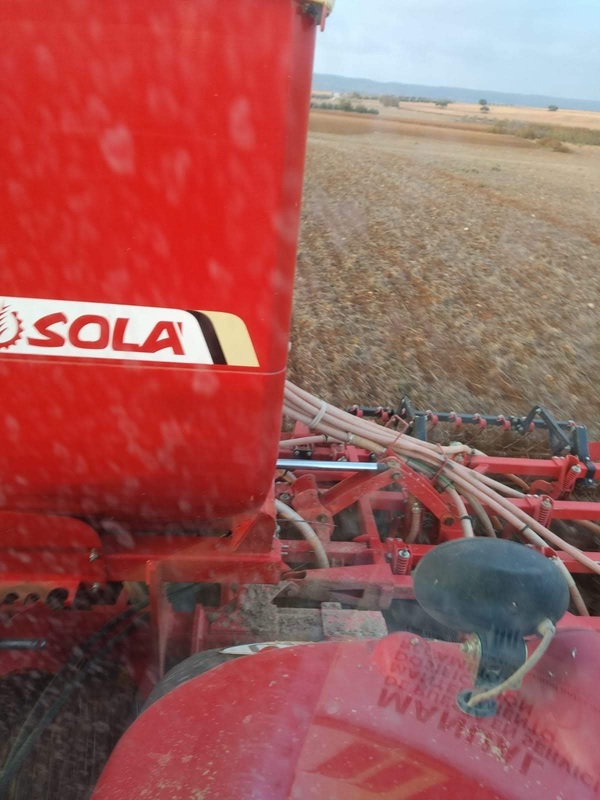 Every time the month of November arrives we start with the tasks of sowing. 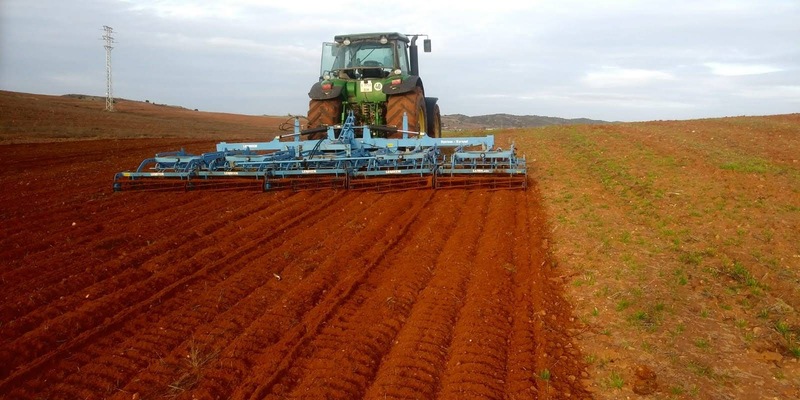 Undoubtedly, for us this is the most beautiful time of agriculture and especially if there are good soil conditions. 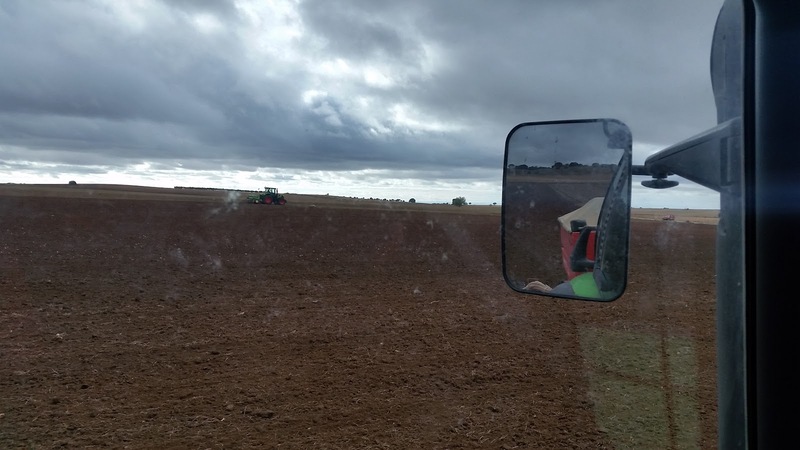 This year, thanks to the autumn rains (it has rained about 90mm since early September), we are carrying out our sowing tasks in ideal conditions. 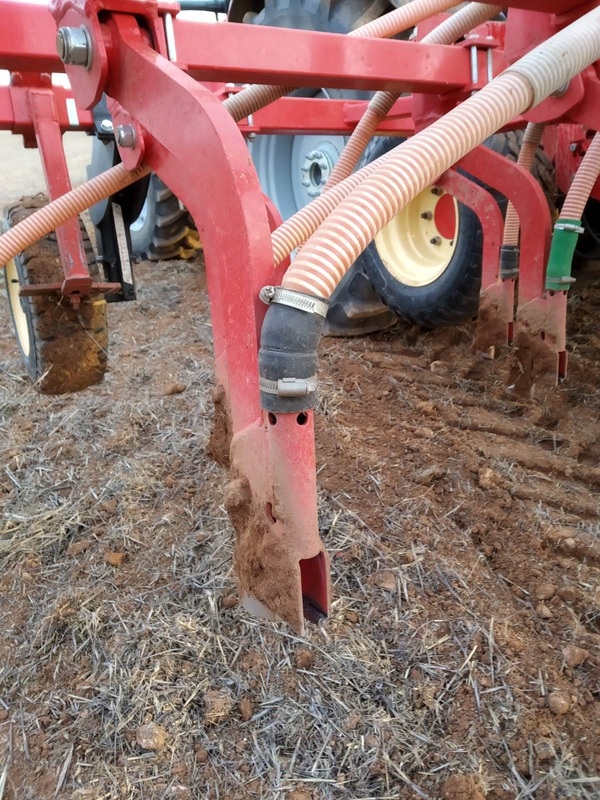 The procedure is always the same: prepare the soil, spread a good fertilizer dose (for example, about 200kg/ha of 8-24-8) and sow the winter cereal (with a seed dose of 220 kg/ha). 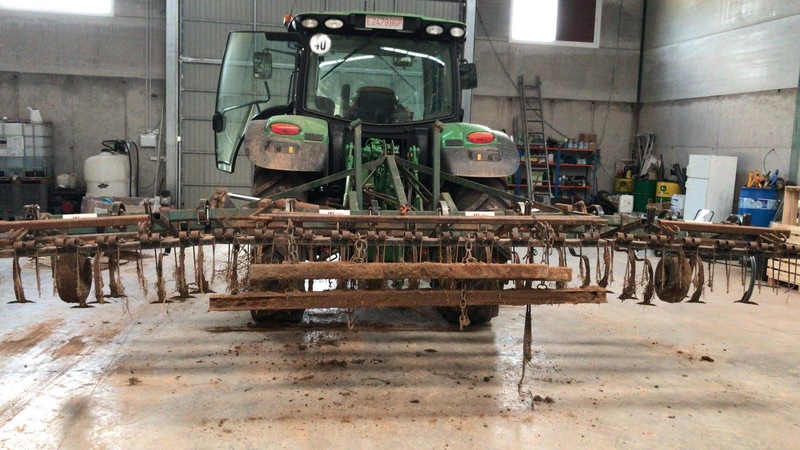 This is not as strict as it seems. 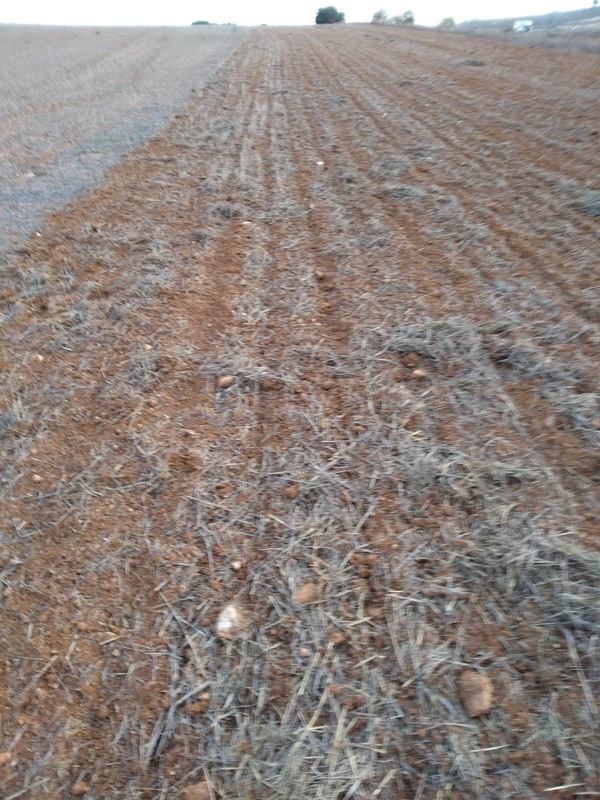 Farmer knows in which fields is needed more or less fertilized, the dose and variety of seed chosen, etc. 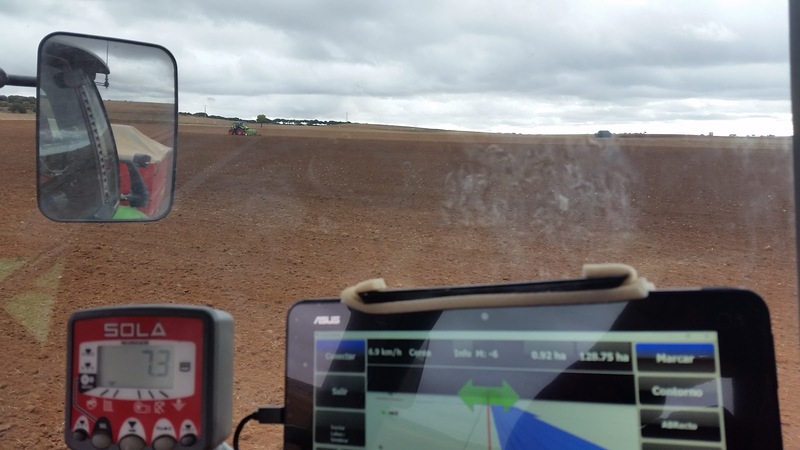 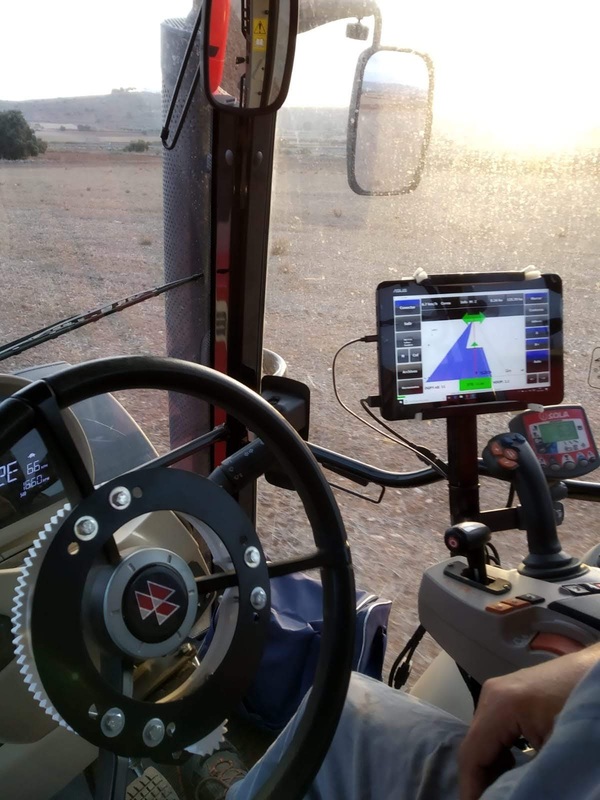 The ideal thing would be to do it using tools that Agriculture 4.0 offers us (yield maps, "intelligent" machinery,...), but unfortunately all that is still to come. 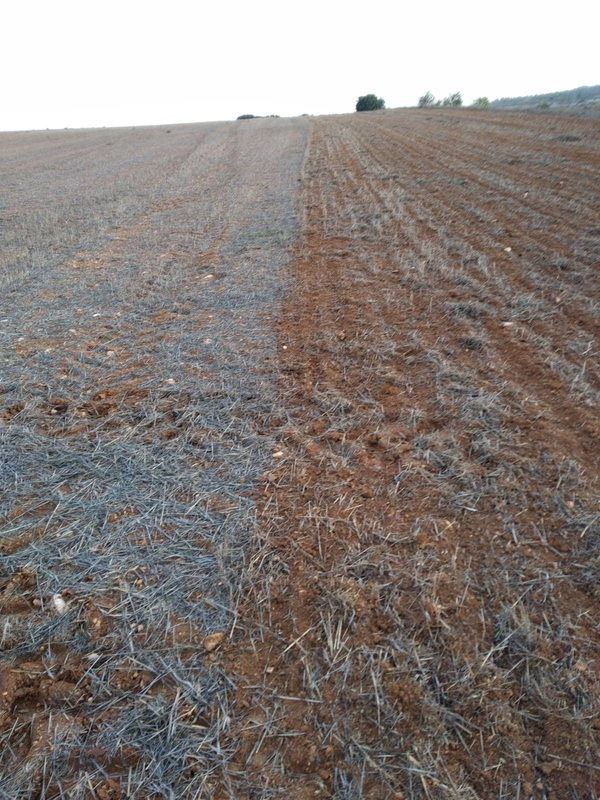 A few days ago we visited our friends Francisco and Fernando (from La Roda - Albacete) and they told us that they started to do direct sowing. 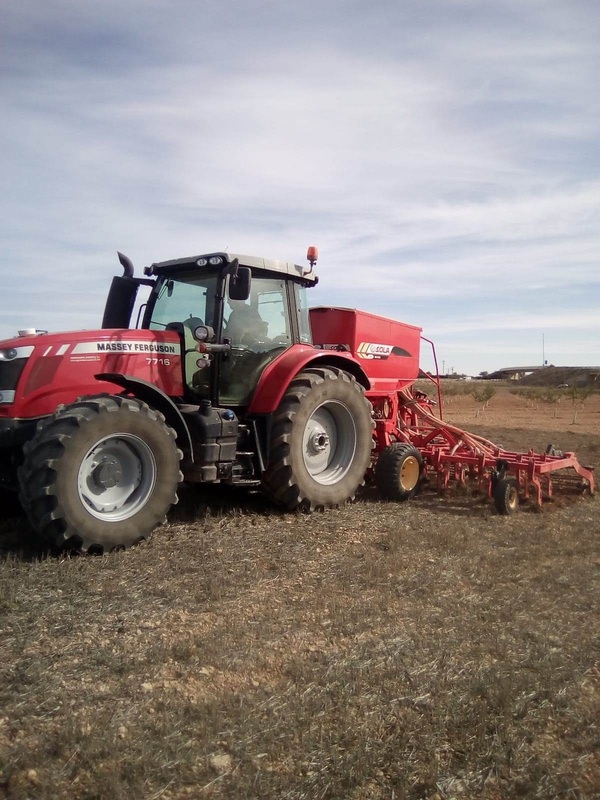 Their yields are quite low (around 2,000 kg/ha) and with the selling price of the cereal (about 170 €/t of barley) whose inputs are: fertilizers, phytosanitary treatments, diesel, etc. 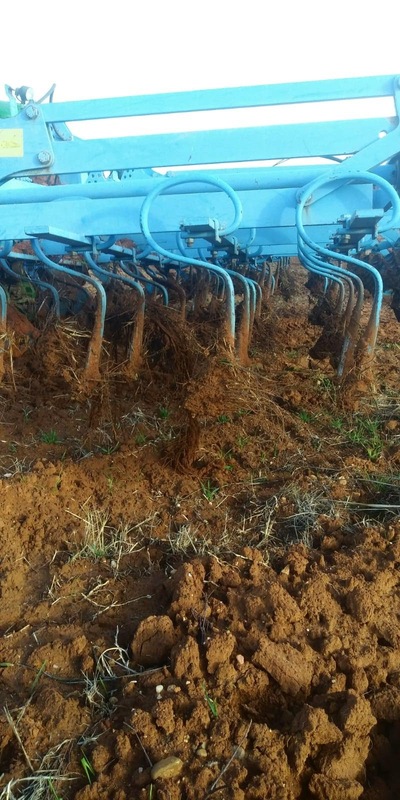 Therefore, they had to control their expenses in order to have a profitable production. 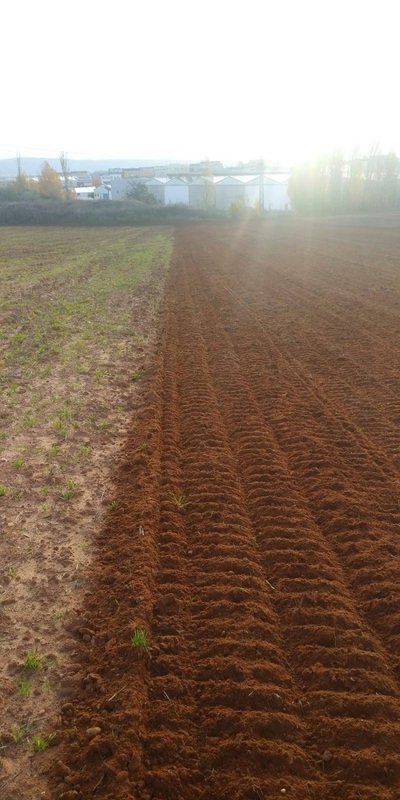 For this reason, and after seeing some fields of direct sowing of their neighbours, they have decided to begin with this technique of sowing. 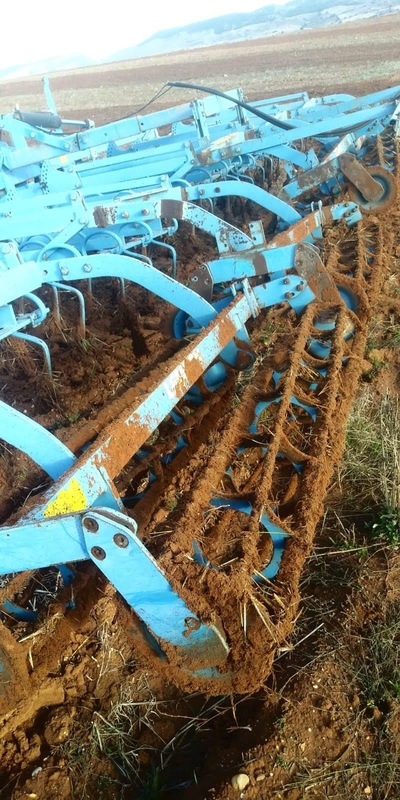 Our question is whether the savings are really so considerable as they have had to buy a direct seed drill, which is usually much more expensive than traditional seed drills, and they will have to do glyphosate treatments instead of using the cultivator or a fast disc harrow which are undoubtedly very low diesel consumption. 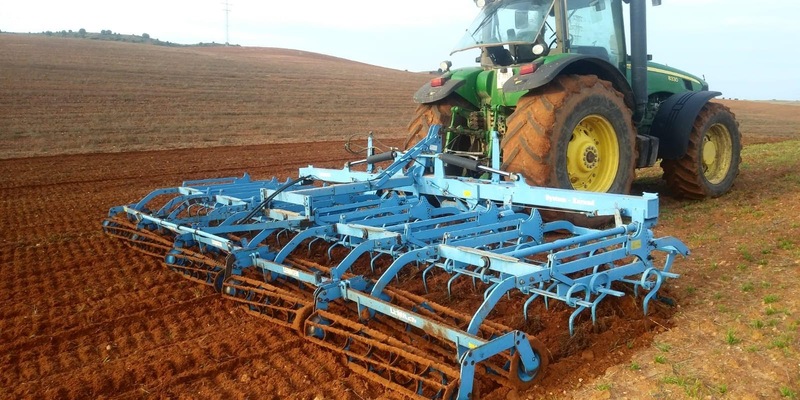 As you can see in our photos, we continue doing a traditional agriculture because we still have some fairly acceptable yields (an average of 3,000 kg/ha) and we actually carry out a minimum tillage as we do not work with plough or similar implements that require a large consumption of diesel. 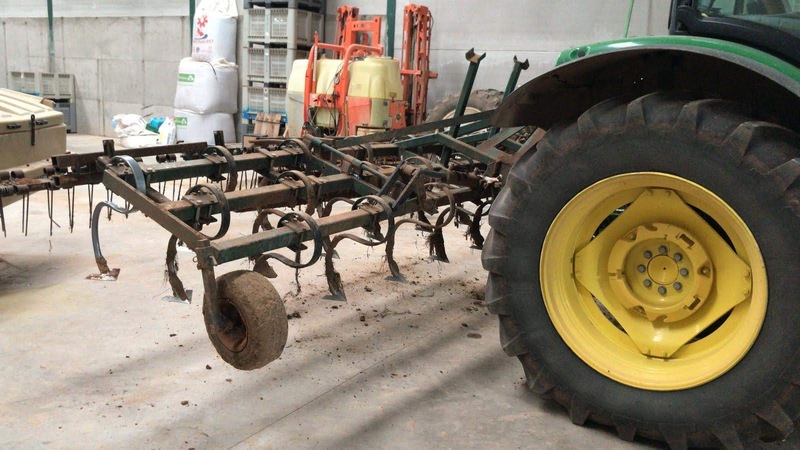 In our area the main implement is the cultivator that is practically the only implement used. 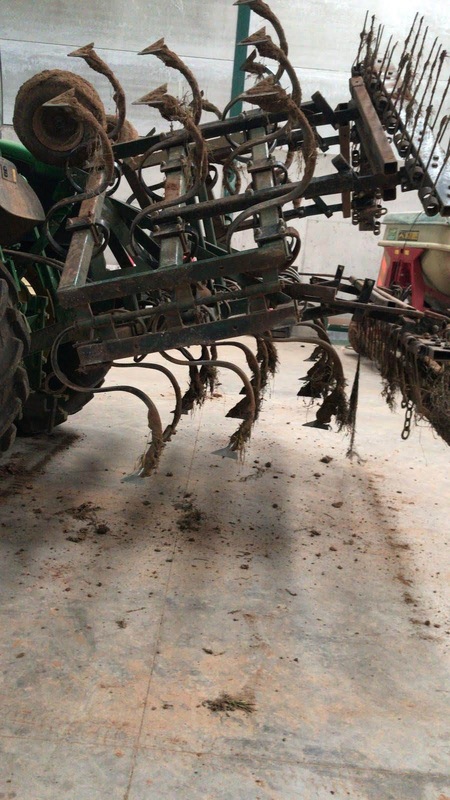 Of course, we don't know how to solve this dilemma. 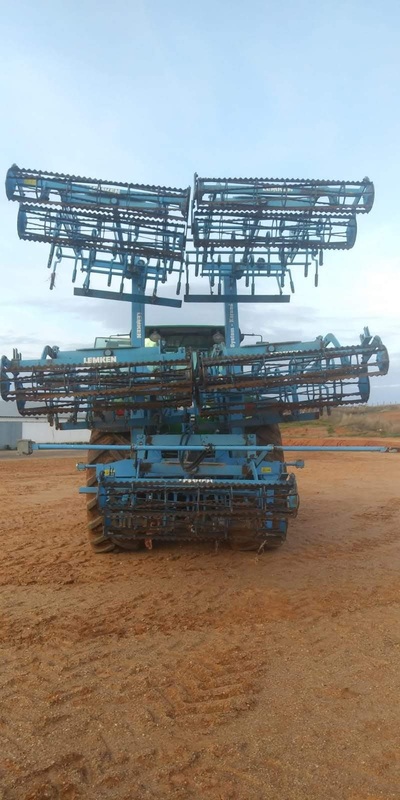 What do you think about that?